What's New For The 2019 Lincoln Nautilus? In 2019, Lincoln is revealing the revamped Lincoln MKX crossover, renaming it Nautilus. The biggest changes for the Nautilus, besides the name, are the upgraded engine and new look. The new engine is a turbo four-cylinder that provides 245 horsepower. You also have an optional engine that can provide up to 335 horsepower. The Nautilus Base trim comes with a frameless interior rear view mirror, along with a cross-traffic alert and blind spot avoidance system. You have a massive 12.3-inch display screen and a comfortable front console. Also included is dual-zone automatic temperature control, along with intermittent windshield wipers. The steering wheel comes with a leather wrapping and includes secondary audio control features, along with cruise control capacities. You also have privacy glass, keyless entry, and an electric parking brake. For added safety features, smart technology gives you pedestrian detection and forward collision warnings with automatic braking. 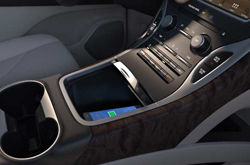 The base trim comes with 2 charging USB ports, along with the Lincoln Connect system. You have the option for the Lincoln Entertainment System. Included in every model is a premium radio with a single CD player, with a total of 11 speakers. You'll also get SiriusXM satellite radio. 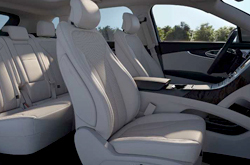 Luxurious seating includes a heated driver and passenger seat with 10-way lumbar support. The next trim up, the Nautilus Select, comes with all the convenience and luxury features you'll find with the Base trim. It also has an optional heated steering wheel and optional rain-sensing windshield wipers. The Select has a high gloss wood trim on the interior of the vehicle, as well as a universal garage door opener and wireless charging pad. You have a number of different options, like a de-icer for the windshield wipers, a panoramic roof, and an AC power outlet. The Nautilus Reserve is the next option. It includes standard rain-sensing wipers, rather than having them be optional. It also standardizes the panoramic roof and wiper de-icer. There are a number of optional safety systems you can employ, like the Forward Sensing System, 360-degree camera, enhanced active parking assistance, and following distance indicator. As for entertainment, your audio system is upgraded to a 13-speaker surround sound experience with high-definition technology. You can optionally upgrade to a 19-speaker system. The Lincoln Black Label is the highest trim level. It comes with uniquely carpeted rear and front floor mats that use a patented binding. 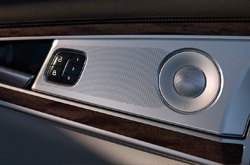 The 19-speaker audio system is also standardized on this trim. 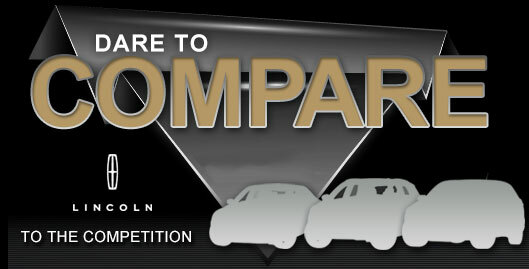 Other important aspects of the Lincoln Black Label trim are the 3 optional themes: Gaia, Chalet, and Thoroughbred. You can consider them if you want to customize your vehicle aesthetic on the next level. All the Lincoln Nautilus trims come with the same standard engine. You have an 8-speed automatic transmission and a turbocharged 2.0-liter 4-cylinder engine that provides 245 horsepower. If you want a little more power under the hood, the optional twin-turbocharged V6 engine can provide up to 335 horsepower. The Nautilus includes a number of different safety features. The patented personal safety system and safety canopy systems ensure you stay secure in a crash. There's also an integrated post-crash alert system that lets authorities know if you've crashed. A rear view camera lets you see behind you, while smart pre-collision assistance technology will brake automatically if you're about to hit another vehicle. You also have a perimeter alarm and child-safety locks. 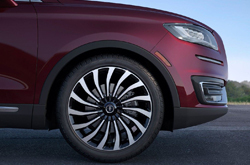 The 2019 Lincoln Nautilus is a must see vehicle. Our sales team at Grapevine Lincoln is standing by to answer your questions or take you out on a test drive. Visit our dealership in Grapevine today! *Get Today's Price is available to all customers and can also be obtained by calling or coming into the dealership today. Purchase prices do not include tax, title, license and $150.00 doc fee. Prices include the listed manufacturer rebates and incentives. Please verify all information. We are not responsible for typographical, technical, or misprint errors. Inventory is subject to prior sale. Contact us via phone or email for more details. *MPG Based on 2019 EPA mileage ratings. Use for comparison purposes only. Your mileage will vary depending on driving conditions, how you drive and maintain your vehicle, battery-pack age/condition, and other factors.